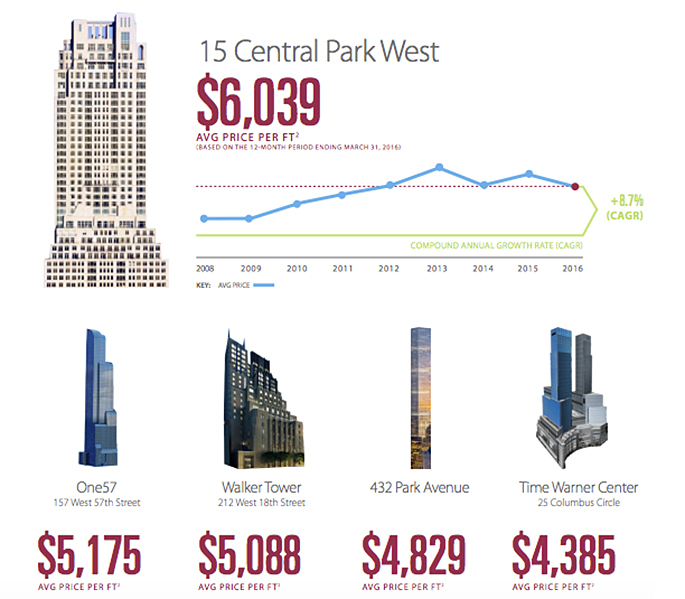 Six months ago when CityRealty released its last CR100 report — an index comprised of the top 100 condominium buildings in Manhattan — One57 surpassed long-time frontrunner 15 Central Park West as the most expensive condo, coming in at $6,010 per square foot, compared to 15 CPW’s $5,726. But this time around, 15 CPW has retaken the crown with an average sales price of $6,039 per square foot over the last 12 months. Coming in second is the Residences at the Mandarin Oriental at $5,956, and One57 falls to third at $5,175, a 13 percent drop over the last year. CityRealty notes, however, that the Robert A.M. Stern-designed condo may have difficulty maintaining its top spot, as big-time new developments 432 Park Avenue, The Greenwich Lane, and 10 Madison Square West have now made their debut on the CR100. 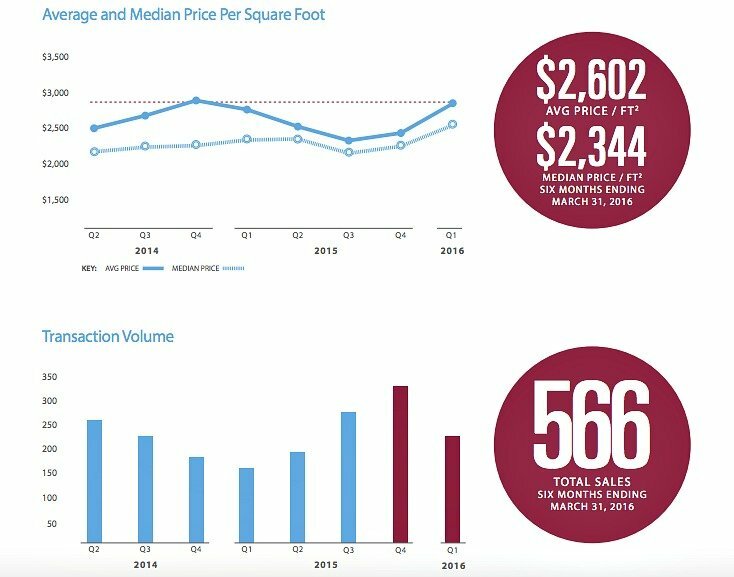 The past two quarters saw a major jump in closings — 566 compared to 334 — which CityRealty attributes to closings in new developments like 150 Charles Street, One Riverside Park, and The Greenwich Lane. The average price per square foot of buildings in the index was down eight percent year over year, but the median price was up three percent. This relatively small change indicates a steady condo market.